Cup free this fall so bring your hydrapouch, cup or bottle. 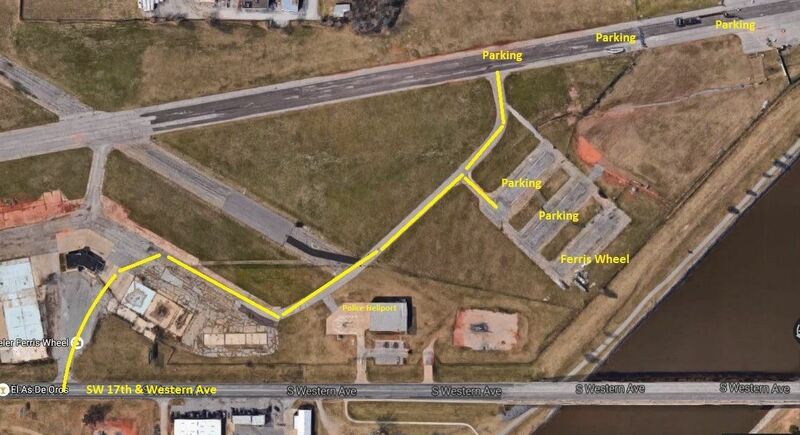 Parking: There are 2 lots next to the Ferris Wheel and plenty of parking on the old runway. Course: Click here for Map - We will run west 4.5 miles to Meridian and back, then east 4.5 miles to 1-40 bridge and back. Note: the 1 mile section from I-35 bridge past the Indian Culture Center to Eastern is dirt, gravel, sand and old asphalt. Worst section is just under the I-35 bridge. At Eastern you pick up the new Eagle Trail - turn around will be right before the I-40 bridge. Half Marathoners: 9 miles so you can run the west or east section. Get your hydrapouch today! Only $5 at the training runs or order online here. If you are not already on our training run email list from the spring you will need to click here to signup for the weekly training run emails. As always training is FREE and open to all walkers and runners. You do not need to be a member to attend but we sure hope you consider joining - only $20 per year! Click here for more training run information.